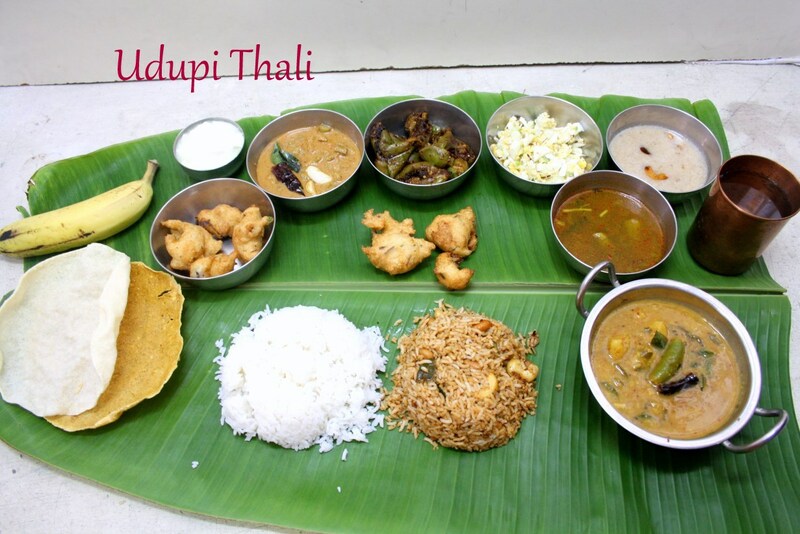 When I had decided to make the Udupi Thali, I was checking couple of times to see which Rasam should be selected. I naturally wanted all the dishes to be new. No point in cooking something that’s already done right. So while going through the Udupi Menu, I saw the Lemon Rasam, using Udupi Rasam Powder. Even though the recipe said using the Udupi Rasam powder is optional, I went ahead and made the Udupi Rasam powder as well.My boys are used to mostly Cumin Pepper Rasam and I was wondering if they will even taste this rasam as it doesn’t have any dal in it. Just as I thought, they didn’t like it as it was quite spicy. However I enjoyed it and it was so different from our regular rasam. The cooking time is so less that you will be amazed by it! Lemon ­ 2 medium nos. Slit the green chillies lengthwise and cut the lemons in to half. Keep them side till use. Heat a pan adding all the tempering ingredients in the order mentioned. Saute for couple of minutes till the mustard seeds splutters, then 2.5 cups of water, jaggery, turmeric powder, slit green chillies and salt. Let it boil. 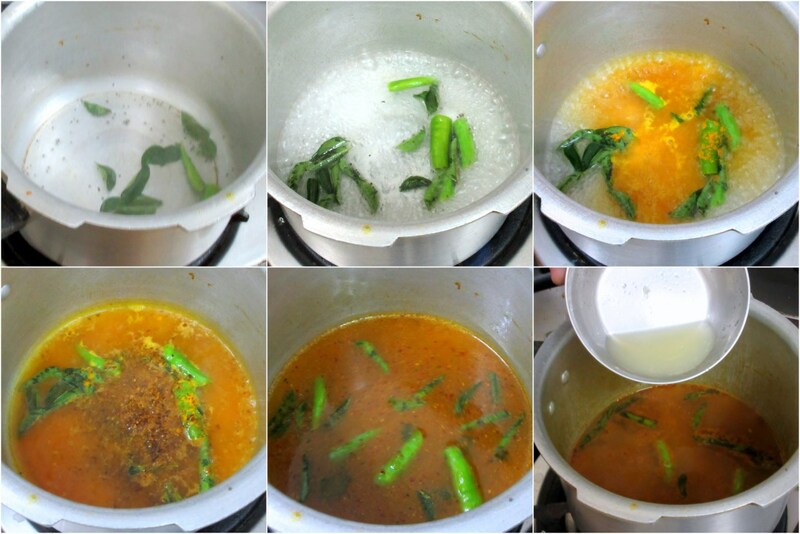 Next add Rasam powder and continue boiling for a while. Then switch off. Finally squeeze the lemon juice from 2 lemons. Keep it covered with lid until serving. This way the lemon will get nicely mixed in. 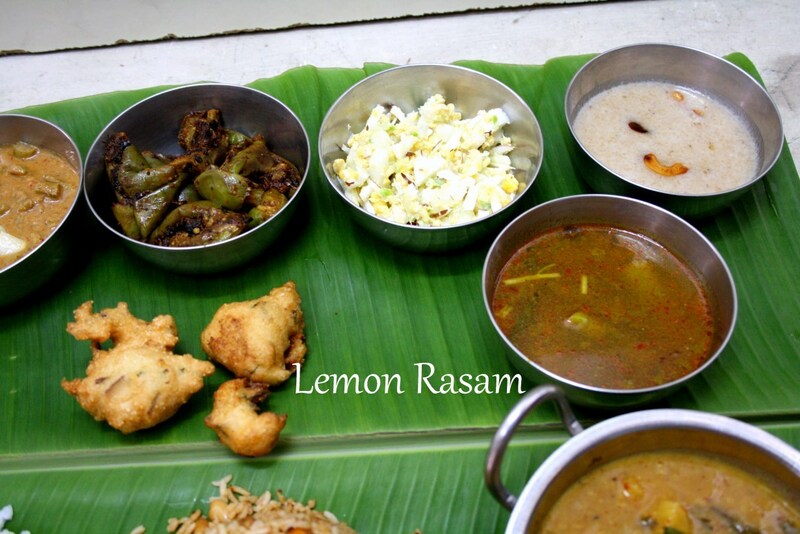 Do not add lemon juice when the rasam is still boiling. You will end up having a bitter rasam then. lovely rasam. Love the thali too.